Need a painter in Margaret River? Aloha Painting aims to excel in all aspects of painting and decorating, providing a professional service at a competitive price. Aloha Painting offers a quality service from small residential renovations to large commercial new builds and everything in between. We aim to go the extra mile to guarantee customer satisfaction and a lasting professional finish. Aloha Painting is fully insured, licensed and trade certified. Read about our green credentials on our "About" page. We are now "Green Painter's" Accredited. 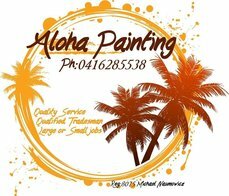 For advice and a no-obligation free quotation on your next project call Mike on 0416 285 538, email at mike@alohapainting.com.au.